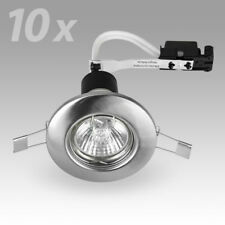 Bulb type: MAX 40W BC/B22 bulb. Bulb Included: No. Width: 28 cm. Depth: 28 cm. Height: 17 cm. Self Assembly. Clean with a soft dry cloth. Do not use abrasive cleaners. Battery powered with 3 LEDs. Change from cosy Warm White light (2200K) to bright Cool White (3000K) light. Illuminance area: 3.35 m². Colour of the fixture: Gold. Shade colour: White. Lamp shade: Aluminium, Silicone. Socket: LED. Color temperature, K 3000. Central London – E1 E2 E14 N1 N5 N7 NW 1-8 SE1 11 16-17 SW1-13 18. VINTAGE STYLE BLACK METAL CARNIVAL HEART BATTERY LIGHT. BLUE RED WHITE. USED. SKU BDUP032BC1QFOE. Finish Antique brass. INDOOR LIGHTING. BATHROOM LIGHTING. OUTDOOR LIGHTING. Minimum Drop (cm) 42. Maximum Drop (cm) 150. Bulb Details E27. Loft Light Square Cross LED. Indoor use only. Colour Temp: 6500K. The grated lighting effect gives them a much more modern and attractive look which makes them a great alternative to traditional flat panels. Suspension kit also available for suspended ceilings. 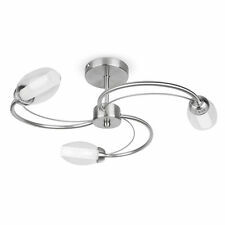 This Modern Double Spotlight Fitting from the 'Ribolla' range by Eglo Lighting looks great and is ideal wherever a modern look is desired. The 'Ribolla' range consists of matching 4, 3 Light and a Single Spotlight Fitting.